Sync Everywhere™ cloud data protection architecture not dependent on security of cloud service. New Dropbox Cloud sync enables data sync over standard Internet connection – no firewall setup required. Numerous customizable features so mSecure will work quickly and fluidly for your needs. 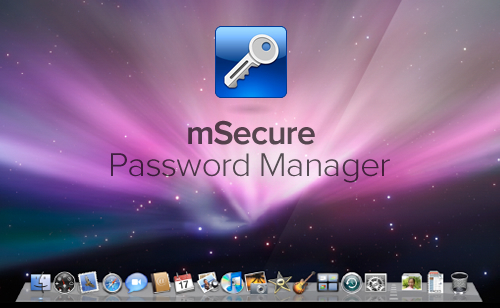 Requires Mac OS X 10.5 Leopard, Mac OS X 10.6 Snow Leopard, Mac OS X 10.7 Lion or Mac OS X 10.8 Mountain Lion. Click here to jump on the mSecure sale while it’s still available. There’s a 30 day money back guarantee so you have nothing to lose.